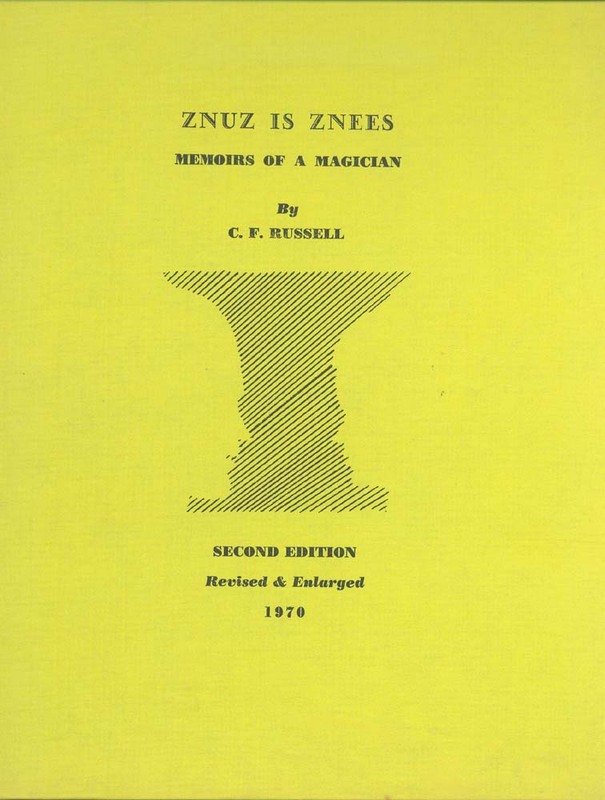 Znuz is Znees - Memoirs of a Magician - this is the 2nd edition revised & enlarged. Table of Contents is below. We affectionately call him CFR (*) in this blog. C. F. Russell's life works & amusing style of writing & the authorship of dozens of ways to reach initiation & enlightment is exposed to the world in 4 volumes - self published. His life spanned 90 years - the better part of the last 70 devoted to the Great Work & teaching it to his students & friends.